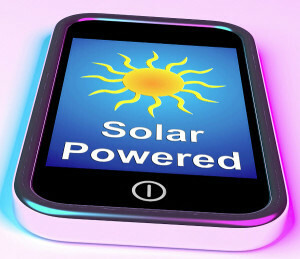 Verizon Communications intends to expand its solar energy market. The American telecommunications company has recently announced that it will be investing another $40 million into its green energy program, which will allow Verizon to grow its solar power market in five states. An extra 10.2 MW of power will be added at eight sites. The sites are located in California, New York, Maryland, Massachusetts, and New Jersey. After the completion of the new installations, the investment, which will fund more than 10 megawatts (MW), will increase the amount of clean energy Verizon will deploy to over 25 MW. The telecommunications company entered the solar energy market last year and invested $100 million to have solar panels installed at 19 locations across the U.S. The company’s first investment was anticipated to produce over 70 million kWh (killowatt hours) in seven states. The solar power sites within these states were to provide electricity to data and call centers, as well as offices. Verizon has said that since its initial investment it has increased its investment in green energy at some of these locations. It launched cooling measures meant to further lower the company’s carbon bill. In addition, eventually, its total investment will enable the company to reduce its carbon footprint by an estimated 22,000 metric tons of carbon dioxide, which is about equal to taking 5,000 cars off the road every year. Verizon’s investment in green energy is benefiting the communities they serve. Due to its latest expansion, Verizon will soon become one of the top 20 companies with the highest number of solar installations in the United States. The expansion also makes it a contender for becoming the country’s number one communications company for solar energy generation. Solar arrays will be installed by SunPower as part of the deal Verizon made with the company. This will include several photovoltaic (PhV) systems at ground level and a rooftop installation on a parking structure.